I have a confession to make – I was never a big fan of lipsticks and I always used to end up eating them. It was only when my sister started buying them, I started to learn what suits me, how to make them last longer and control myself from eating or licking it. So, today I am going review lipstick from my one my favorite makeup brands – Maybelline. Being a work from home writer by profession and beauty blogger by passion, I spend most of my time surfing the internet. No wonder, online shopping comes naturally to me. 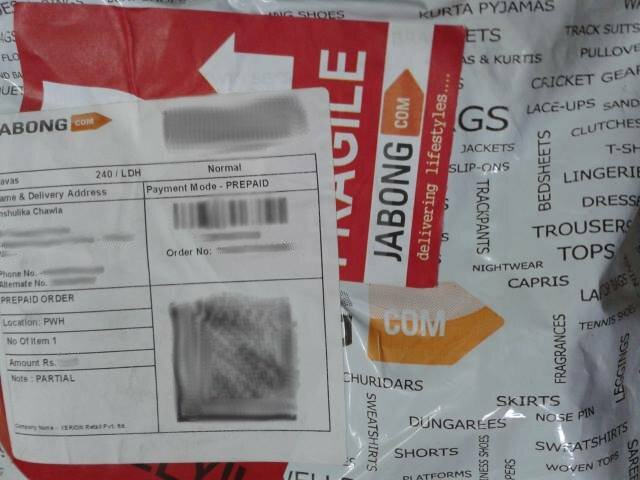 Shoes, bags, bed sheets, gifts, beauty products, clothes and even Lingerie, I have tried to purchase nearly everything online. And even when I’m not shopping online, most of my off-line purchase choices are influenced by the research and information gleaned through online shopping websites. I’m still an amateur when it comes to proper eye makeup. I don’t really go beyond the colored eye pencils and liners to try something new and different. 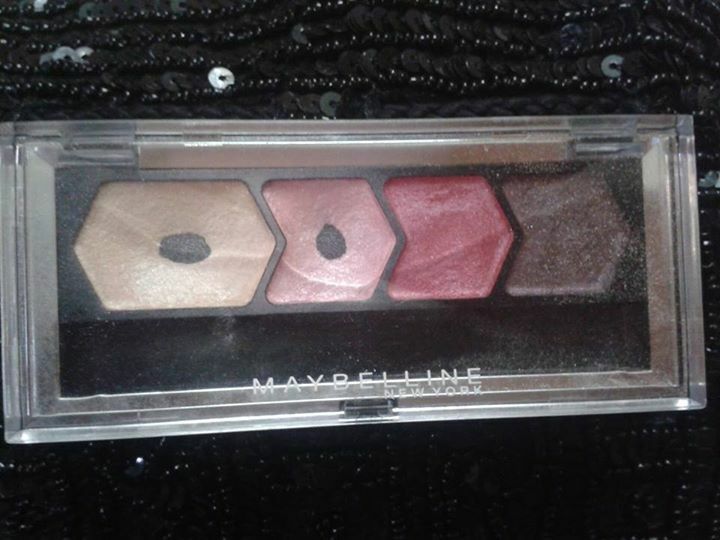 So when, my hubby brought this Maybelline eye shadow quad in Wine Pink, I was a little reluctant to try it, even though I loved the shades! I am a recent fan of colored eye pencils. So when I was hanging around aimlessly in a shopping mall, where my hubby was trying t-shirts, I was automatically drawn to the makeup counter of the mall. 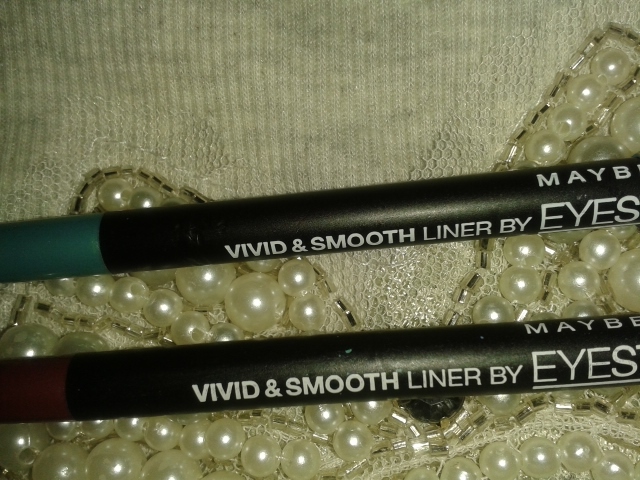 Despite, drowning in a pool of different eye color pencils, shadows, and liners, two polite girls from Maybelline counter succeeded in convincing me to buy two of Maybelline Eye Studio Vivid and Smooth Liners in Peacock Green and Maroon shade. I am going to review the shade Peacock Green in this post. Although, the name of the shade is nowhere mentioned on the packaging. I tried the shade last week-end on an evening out with hubby and friends.